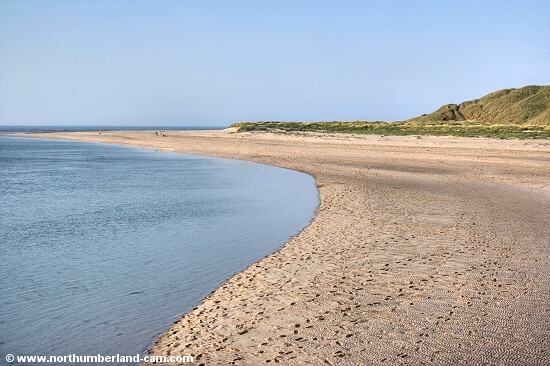 Budle Bay is a large bay of sand flats, covered quickly by the incoming tide. A sandy beach lies along the south side of the bay. 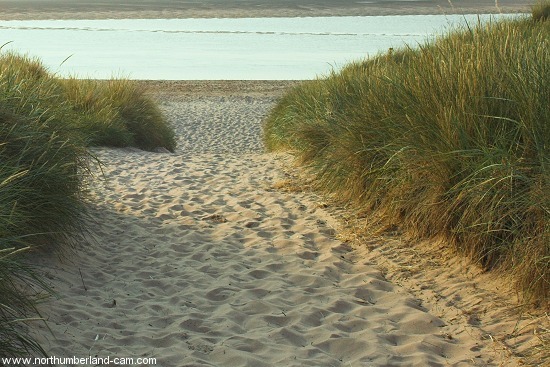 It has to be reached on foot so is less visited than some other beaches. 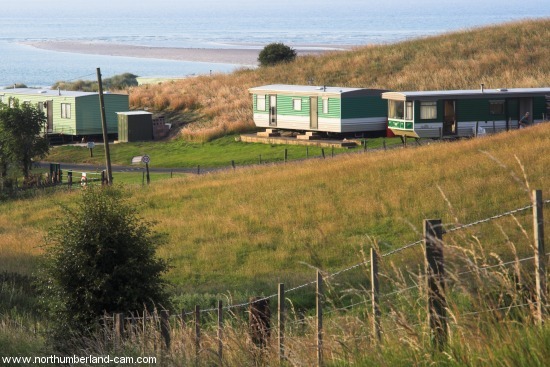 It is used by walkers and visitors to the nearby caravan parks which overlook it. There are signs of an industrial past with the remains of jetties on the south side. 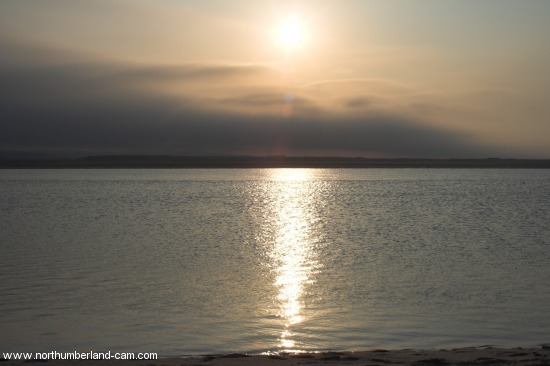 The north side of the bay leads to Ross Black Sands. Evening view along the beach to the sea at Budle Bay. Old jetty at Budle Bay. 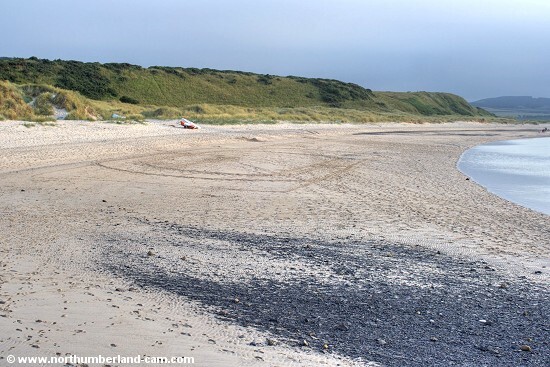 Evening view along the beach at Budle Bay towards the Cheviot Hills. 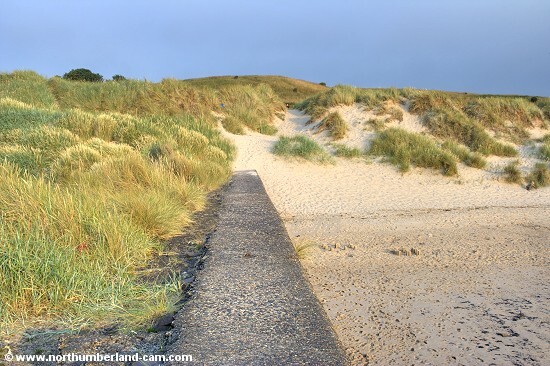 Path through the dunes to the beach.